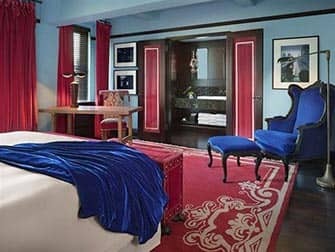 Sleeping in a romantic hotel makes staying in New York extra special. 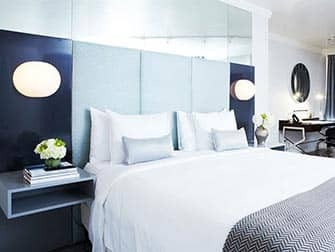 If you are in New York for or during Valentine’s Day then it’s a good idea to plan ahead when booking your hotel.There are many romantic hotels in New York and staying in one is a perfect way to end the day. Here is my selection. 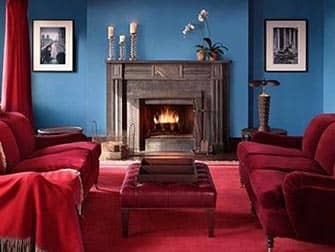 One of the romantic hotels is The Jane, a nostalgic hotel in Greenwich Village. The rooms are very small and cosy and the hotel is relatively cheap. Ideal for young couples! 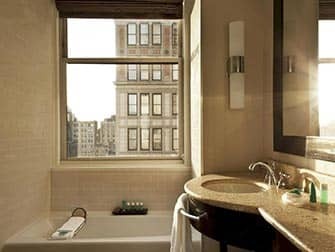 The Gramercy Park Hotel is relatively cheap with a great location. The hotel is close to, indeed, Gramercy Park near the Flatiron Building. 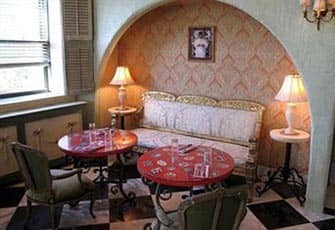 There is a gothic-romantic atmosphere in the hotel, a great place to relax. The London NYC is very central, five blocks south of Central Park and close to Broadway. 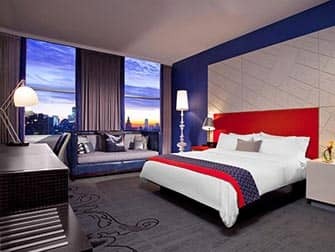 The London NYC has beautiful large rooms and if you’re lucky you’ll have a view of Central Park. 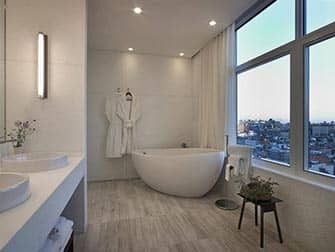 It’s a great place to stay for a romantic getaway. I don’t recommend having breakfast there as it’s overrated. The James New York is in SoHo, a nice neighbourhood in New York. 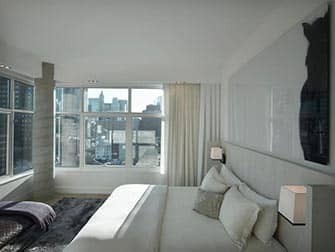 The hotel is modern and has a rooftop bar, from which you have a view of the Hudson River. It’s recommended for young couples and New York yuppies often visit the rooftop bar. 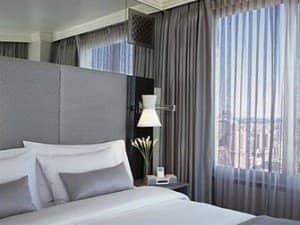 The Michelangelo Hotel is in Midtown, close to Rockefeller Center. 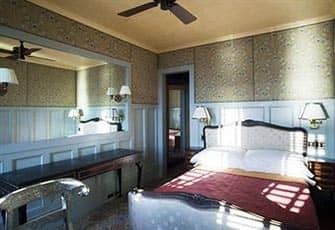 The hotel has beautiful spacious rooms in a romantic style. It’s a great hotel to go to with your partner, especially for celebrating your wedding day. 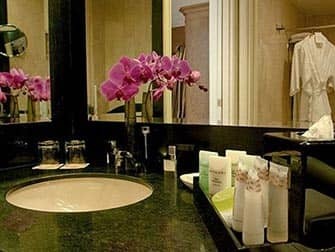 The W Hotels have great service and on Valentine’s Day there is a special Valentine’s Day package. This package includes, among others, champagne and massages. 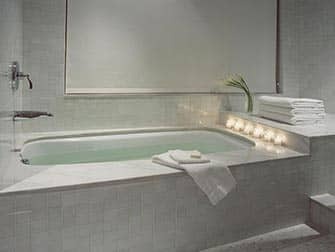 All of the W Hotel locations are good but I would personally recommend the Union Square or Midtown location.